Baltimore natives and dog lovers, Chris and Katie Hauser have always had a passion for ultra-premium spirits, but found it inconvenient to travel almost an hour in any direction to get to the nearest distillery. Longing for the friendly and inviting atmosphere of distilleries, they decided to open their own, closer to home – in Middle River. Baltimore County, to be exact! 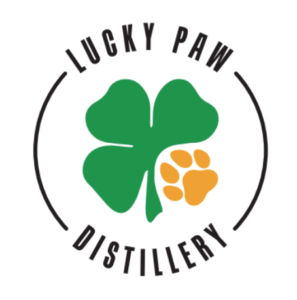 Aiming to become a small craft distillery, using local ingredients and specializing in small batch: vodkas, gins, rums, and whiskeys, Lucky Paw Distillery aims to bring quality back to the market! We take pride in creating a welcoming environment for humans and pets to enjoy each other’s company, while also enjoying our unique handcrafted spirits. You gotta’ get your ‘paws’ on our spirits, and who knows-you just might get lucky!